MOSCOW, Russia — France beat Croatia 4-2 in the 2018 FIFA World Cup Final in Moscow to win the prestigious tournament for the second time in the nation’s history. 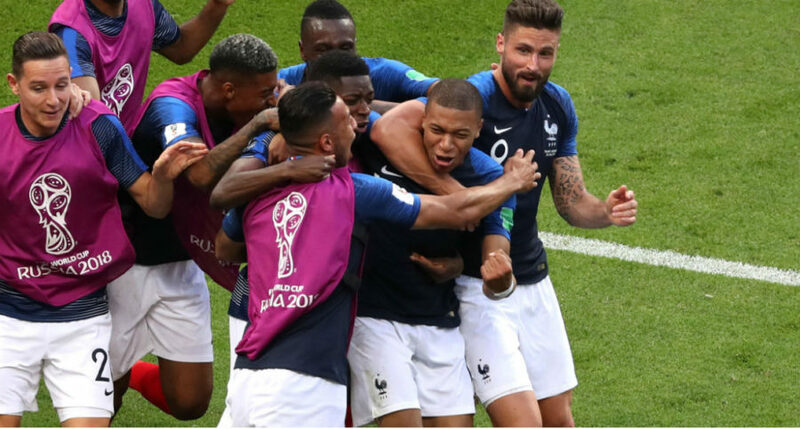 Goals from Antoine Griezmann, Paul Pogba, Kylian Mbappe and an own-goal by Mario Mandzukic secured the title for Didier Deschamps’ side, while Ivan Perisic and Mandzukic were the goalscorers for the first-time World Cup finalists. France went in front in the 18th minute when a free-kick by Griezmann was deflected off the head of Mandzukic past his own goalkeeper Danijel Subasic. Croatia drew level in the 28th minute when Perisic blasted home a left-footed strike past France goalkeeper Hugo Lloris. However, France took the lead right back after Argentine referee Nestor Pitana used a video review to award a penalty to the French side after a replay showed that Perisic handled the ball in the area. Griezmann stepped up to convert the spot kick to put France 2-1 in front in the 38th minute. Following a brief second-half pitch invasion around the 52nd minute, France quickly put the game beyond reach with two strikes to make it 4-1. Pogba and Kylian Mbappe netted in the 59th and 65th minutes to give their team a comfortable lead before Mandzukic pulled one back for the Croatians in the 69th, following a shocking mistake from Lloris. “After the fourth goal came in, I started thinking it would be difficult to come from behind for the fourth or fifth time,” Croatia coach Zlatko Dalic said. France was winning its second World Cup title, following the 1998 crown. Croatia was playing in its first ever World Cup final. Croatia midfielder and captain Luka Modric was awarded the Golden Ball after he was voted as the best player at the 2018 World Cup. In other news, Belgium’s Thibaut Courtois won the Golden Glove, presented to the best goalkeeper, while England’s Harry Kane won the Golden Boot for top scorer with six goals.